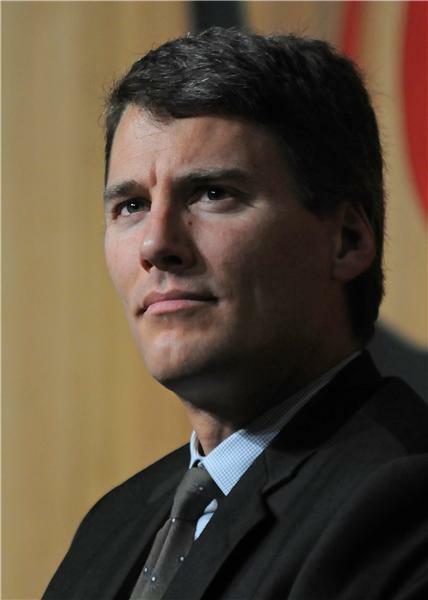 On Sunday, November 13, we will be chatting with Vancouver's mayor Gregor Robertson about issues important to you. Leave your questions below, email us at tips@globaltvbc.com or Tweet us @GlobalBC. We approved a 10 yr plan to build 38,000 affordable homes, Suzanne was the only vote against. We'll use city land to leverage funding partnerships with government, private and community partners. We need at least another 10 sites for social housing to solve homelessness after the 14 are open. How much of the $100+ Million of the Cities Taxpayers money has been recouped from Olympic Village sales? Question from Pam re: property taxes. My goal is to keep increases at the cost-of-living level and we've accomplished that for the last 2 years during a recession. We have the lowest tax increase in the region this year. Councillor Raymond Louie has been a sharp Finance Chair! If re-elected, do you plan to install more bike lanes in the city, and if so, where? Do you think businesses affected by the bike lanes installed during your first term were adequately consulted? While I am thankfully not a citizen of vancouver, i do however work there. When will you realize that the forcing of your ideals by building bike lanes and entertaining the idea of demolishing the georgia viaducts impacts everyone who works in van as well as lives there??? You are quick to have your hand out to translink for funding for skytrain and buses which gathers money from the whole lower mainland yet you feel that you can do things within the city with impunity. The bike lanes are a major fiasco, and the mere thought of demolishing the viaducts scares the crap out of me. I'm glad that I'm paid by the hour as my time in the city for work is getting longer and longer. Will you bring back indy cart racing? Most of the world's big cities are having to rebuild their downtown transp networks to accomodate bikes, due to demand. What is your proudest accomplishment as mayor? Back to Occupy Vancouver for a moment. The City is reaching out to anyone at Occupy who is homeless, to help connect them to housing. Tent cities are unsustainable and we will continue to enforce city bylaws to protect life safety and to ensure that others can use the public space now being monopolized by the protest. On gambling, you rejected an expanded downtown casino. Why is the city seemingly OK with more casino gambling dollars going to Richmond or Burnaby when they could be benefiting Vancouver? Why don't you send the parks and recreation people into occupy vancouver, start collecting camp fees. These people are camping and most campsites without washroom facilities charge about eighteen dollars a day, more if there are facilities and electricity. If they want to camp, they should be paying like the rest of us in BC do when we camp. If they don't pay the fee, so long its time to leave. From the Vancouver Sun liveblog: "Robertson: I don't drill down to the details and operating backgrounds on all our donors." The questions I have are the following: "How can you as Mayor and leader of Vision Vancouver NOT know what your backers, especially Interdependent Investments does for business? Is it not your obligation to know where all money going to Vision Vancouver comes from?" Would you support sending criminals and other persons drawing upon our tax base, back to their home provinces? Does the City officially have any room for larger scale proposals to rival that of the turfed proposal of the expanded casino? The recent earthquake near Vancouver Island was a 'wake-up call' for Emergency Preparedness - What steps are being taken in the event of a major disaster to handle this type of emergency? So why do you feel you deserve to be re-elected given some the the unresolved issues Vancouver tax payers have with you. What would you do different and better? Another occupy question: you say the movement can continue; are you willing to work with the occupiers to achieve municipal legislative changes so the movement can be successful? Maybe even a 'yellow bike' program fashioned after the one in Seattle might be a key thing in helping people adopt an alternative mode of transportation. Make it easier and less intimidating. There are already models for these in co-op car use, why not bikes? what are your goals for the next five years and where do you see yourself?